It has been announced that the Rampisham Down Site of Special Scientific Interest (SSSI) in West Dorset, will not be developed into a 25MW solar power station. This follows two years of campaigning by Dorset Wildlife Trust (DWT) and work by conservation organisations including Natural England, RSPB and others. 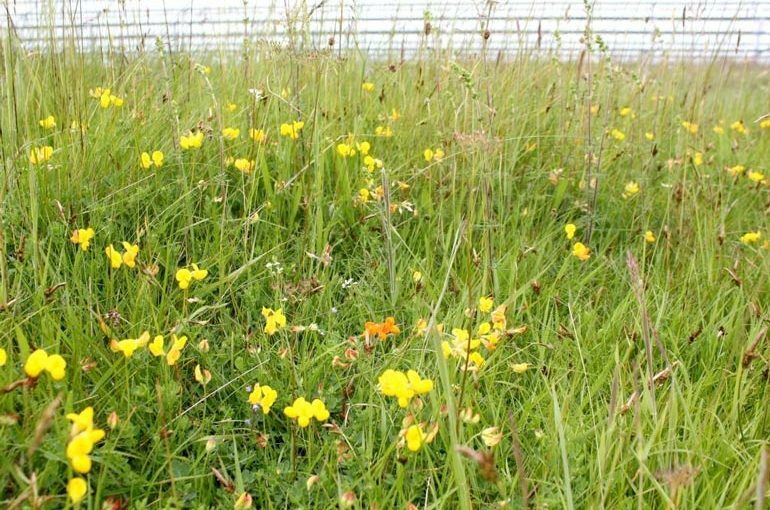 The site is a legally protected area of rare acid grassland and is of national importance. The solar panels will now be developed on an alternative site, which is not of high importance for wildlife, adjacent to Rampisham Down. In January 2015, West Dorset District Council’s Planning Committee approved a planning application by British Solar Renewables to build a 25MW solar power plant on the former BBC transmission site, Rampisham Down SSSI. A petition was launched by DWT, which was signed by over 10,000 people, asking for the decision to be re-considered by the then Communities Minister, Eric Pickles. The decision was ‘called in’ by government in June 2015 and it was announced that a public inquiry would take place to decide the fate of the site. In the interim the developer, British Solar Renewables, had a change of heart and sought planning permission for the alternative site, which was approved on 22 December 2016. DWT’s Chief Executive, Dr Simon Cripps said, “DWT is the first to applaud British Solar Renewables’ sensible decision not to develop their solar power station on Rampisham Down. This nationally important wildlife site will now continue to be protected. Many conservationists were concerned that if this site was built on, other SSSI designated sites in the UK would be undermined and at risk as a result. “We would also like to thank DWT’s members and supporters who spoke up for wildlife and helped us raise awareness to save the site from development. This is a huge victory for nature conservation, for DWT and our partners, for BSR and the solar power industry. It opens the door for future collaboration to benefit both wildlife and business. To find out more about Rampisham Down and what makes it so special visit www.dorsetwildlifetrust.org.uk/rampishamdown.